Pray4Zion is a South African Christian organization committed to encouraging and Standing with the Nation of Israel. We believe that God has called us for 'a time such as this' and as an instrument of the Lord we genenerously assist and support the underpriviledged in Israel. 5779 (2018/9) – “TeT” the Year of God’s Goodness! 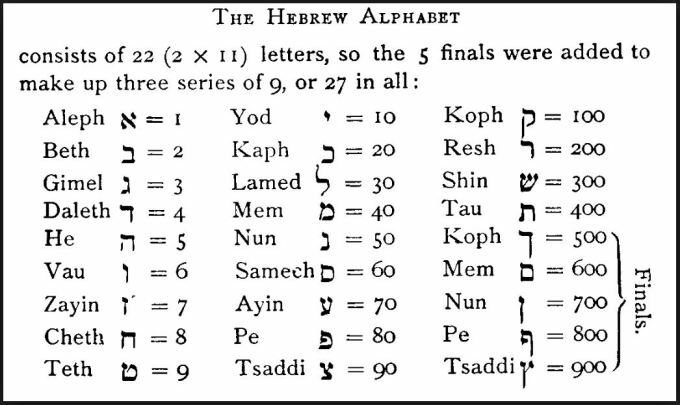 The 9th Letter of the Hebrew Alphabet is the letter “Tet.” The symbol behind the letter “Tet” is that of an “opened container” (like a cup)…and because the value of the “Tet” is 9 many Jewish Rabbi’s connects it to giving “birth! The letter “Tet” is shaped like a vessel that contains something “GOOD” with a greater meaning of “beneficial” and “hides it within!” According to Jewish tradition we can envision the “Tet” as a “womb,” which connects beautifully with the “number” of the letter “Tet” which is number “9” The “9” representing the “9” months of pregnancy where the “foetus” is hidden within and, it’s only revealed after receiving its ‘goodness” from within. When it appears in the Torah (Old Testament) for the first time; the 1st letter “Tet” or “T” is in the word “Tov” (meaning good) and has a very unusual feature. The letter “Tet,” like many other letters in a “Torah Scroll” have tiny crowns extending from them (which Rabbi’s teach is a hidden language of its own). What is unusual about the letter “Tet” here is that it has 4 crowns instead of the usual 3. According to Rabbi’s… when the 4 is multiplied by the number 9 (the value of the “Tet” itself), the total is 36 (3+6=9). The word in the Torah used to describe the “hidden” or earliest “light” from very beginning of Creation is “Tov” - meaning “beneficial” or “good.” This demonstrates that the number “9” the “Tet” - ×˜ represent “beneficence; meaning unconditional kindness, goodness and charity.” “Tov” is like the pain of “child birth” …no one believes that it is good …but, everyone believes that it was “beneficial!” Why? Because, through that pain we receive a new life! 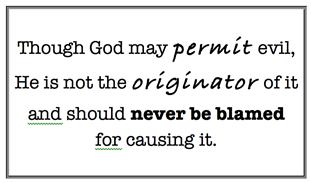 So, we see that the first time in the Bible that God says His Creation is “good” - is by “light” (Genesis 1:3). This was NOT “light” generated by the sun and stars as that came four days later …and, this “natural light” only came later in; Genesis 1:4; “And, God saw the light and it was good.” In Hebrew; “VeYar Elohim Et HaOr Ki Tov!” The phrase has a number of 963 which is divisible by 9 which is the numeric value of the letter “Tet.” So the first occurrence in the Bible of “Tet” is about “Light!” It was this “Light of God” that was declared GOOD! We think of our Lord Yeshua (Jesus) who is; “the light of the world!” – John 8:12. A number of times additionally in the story of Creation we see that God relates to the world as being good! The letter “Tet” begins the letter of the word “Tov” which means “goodness.” Thus, the “Tet” is expressed in the letter that hides goodness within it! In the first word in the Old Testament (Torah) is encoded a “Name of God” within it! “In the beginning God created the heavens and the earth,” – Genesis 1:1. In the first letters of “et ha-sha-mayim ve’et ha-a-retz” (“the heavens and the earth” …the first letters of those four Hebrew words spell out a Name of God – Elohim is plural word and here we see that the “goodness” of Creation is hidden in its very inception. Hebrew is always read opposite to English - from right to left. In the very first verse of Genesis 1, in Paleo-Hebrew (ancient) we see a picture of the Trinity (Father, Son and Holy Spirit) in Creation. The Aleph was a picture of an “OX” – “the strong leader” and represents God the Father (Elohim). The Lamed had a picture of a “Shepherd’s staff” – the “one who speaks with authority” and represents Yeshua (Jesus). The "Hey" a picture of “the Revelator” – the “one who reveals” and represents the Holy Spirit. The "Yod" represents “one who does a Mighty deed!” The Mem is a picture of water! Here we have the “separating the waters from the waters!” Even more intriguing is the word “et” (and) it is a picture of “Aleph” and “Tav” in English “the beginning and the end” – Yeshua (Jesus). Now let’s study again 5779 and the Letter “Tet” being the number “9” …which is again the ideal “birth.’ But, NOT just “physical” birth …but the idea of “spiritual” birth – giving “birth” to potential! The number “9” is also connected to the “blowing of the Shofar” on Rosh HaShanah equalling “9” beats and so constructed in blowing in sets of “9’s” representing the power of renewing or birth of a New Year. Here we also see that the letter “Tet” as “new birth or “renewing.” We should look at the world around us and see all the “goodness” of God that is hidden in front of us. Even God is hidden in the world! And, our souls are hidden within our bodies! Our form was hidden in matter in our mother’s womb; “For you formed my inward parts; You knitted me together in my mother's womb. I praise You, for I am fearfully and wonderfully made. Wonderful are Your works; my soul knows it very well. My frame was NOT hidden from You, when I was being made in secret intricately woven in the depths of the earth. Your eyes saw my unformed substance; in Your book were written, every one of them, the days that were formed for me, when as yet there was none of them!” – Psalm 139:13 -16. Yeshua (Jesus) is calling His Bride – true Church into the “secret place” …the place that is free from all distraction… And, a place where our eyes and attention are only on Him! In the “secret place,” Yeshua will groom His Bride. The outward manifestations of what is to be revealed in this “secret place” will astound many as a level of “wisdom and revelation” that is beyond what has been seen in Church history and is yet to come. "But, you, when you pray, go into your room, and when you have shut your door, pray to your Father who is in the secret place; and your Father who sees in secret will reward you openly." - Matthew 6:6. The “Tet” represents the birth of something NEW – to the conclusion of an age …and to the start of another! We can picture the “Veil of the Temple” being torn in two – from top to bottom so that the way of the “Holy of Holies” is now open for ALL who trust in Yeshua (Jesus)! He made the way open into the presence of God! As we mentioned the form of the “Tet” is inverted with “hidden goodness” …but we must remember that evil is always lurking! God is the source of ALL that is good in the world (Jeremiah 33:11). Yet, even though God is absolutely “good” and since He is the ultimate reality and “Creator” of ALL - He alone is the ONE, who, when all said and done controls the affairs of humankind both “good” and “bad” (calamitous); “I form the light (yotzer), and create darkness (choshekh), I make peace (shalom) and create evil (ra), I the Lord do all these things,” - Isaiah 45:7. So did God really create “Evil?” There are two key facts that need to be considered here: (1) The word translated “evil” is from a Hebrew word that means; “adversity, affliction, calamity, distress, misery.” Notice how the other major English Bible translations render the word: “disaster” (NIV, HCSB), “calamity” (NKJV, NAS, ESV), and “woe” (NRSV). The Hebrew word can or may refer to “moral evil,” and often does have this meaning in the Hebrew Scriptures. God is NOT responsible for the evil in the world - NOT at all! God is Holy and absolutely pure! Satan alone was responsible for his rebellion against God. Neither can we blame God for our own evil deeds; we alone are responsible for our sins! In Genesis 1:6-28 we read that when God created Adam and Eve …God said it was “good” and they were made in His image - “good!” But, they themselves chose to listen to the “snake” – the Devil, who had rebelled against God …and so they sinned and brought “evil” upon the world …and this curse of sin continues today! However, due to the diversity of possible definitions, we should NEVER assume that “I create evil” in Isaiah 45:7 refers to God bringing “moral evil” into existence. (2) The context of Isaiah 45:7 makes it clear that something other than “bringing moral evil into existence” is in mind. Here it is about God rewarding Israel for obedience and punishing Israel for disobedience. God pours out salvation and blessings on those whom He favours. God brings judgment on those who continue to rebel against Him. “Woe to him who quarrels with his Master,” Isaiah 45:9. That is the person to whom God allows “evil” and “disaster.” So, rather than saying that God created “moral evil,” Isaiah 45:7 is presenting a common theme of Scripture – which God brings disaster on those who continue in hard-hearted rebellion against Him. How the Lord uses “evil” in the universe for His own good purposes – is a mystery! But, we can be assured that ALL God created was good (Genesis 1:31; Psalm 118:1) and that God uses everything for His GOOD! We live in a sinful world with man’s rebellion! What the enemy intended for “evil” – God is going to use for good! 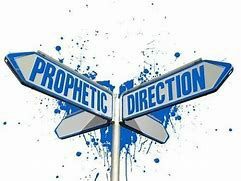 To summarize how the “Tet” will be represented in our lives by allowing the “fruits of the Spirit” to operate in our lives during 5779; our personal decision to give our lives to the Messiah and be yoked to Him will determine the outcome! We have two choices; (1) to surrender our lives to Him as living sacrifice or (2) inwardly rebel through selfish pride that are the marks of the “serpent” – Satan! “I have set before you life and death, blessings and cursing – therefore choose life!” – Deuteronomy 30:19. As believers we are NOT to fear the “Snakes”… Even the Lord used snakes to purify the Israelites; “Then the LORD sent fiery serpents among the people, and they bit the people, so that many people of Israel died. And the people came to Moses and said, “We have sinned, for we have spoken against the LORD and against you. Pray to the LORD, that he take away the serpents from us.” So Moses prayed for the people,” - Numbers 21:6, 7. When Moses led the people out of Egypt, he challenged Pharaoh with Aaron’s staff that turned into a snake and ate the snakes of Pharaoh’s sorcerers (Exodus 7:12). The Apostle Paul even gets bitten by a snake (Acts 28) …but does not die! Yeshua (Jesus) Himself tells us in Mark 16 that those who believe in Him… “Will pick up snakes with their hands; and when they drink deadly poison, it will not hurt them at all; they will place their hands on sick people, and they will get well.” As believers filled with belief, we can expect to overcome the snakes of our enemy …and have this assurance that whatever foe we face, we can be… “Wise as serpents and gentle as doves” and still overcome our enemy! Just as Moses raises up the serpent staff in the desert to heal the afflicted Israelites, we have the assurance that the Lord Yeshua (Jesus) raised up on the Cross has healed ALL our afflictions. We are more than conquerors …since we have been raised up with our Lord and given power over the enemy! The whole world is about numbers are the secret to everything… In Hebrew each letter possesses a numerical value and it’s called “Gematria” which is the substitution for the Hebrew Alphabet. 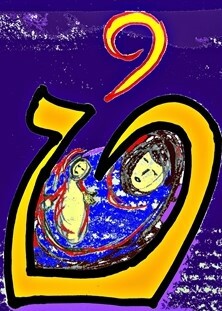 The Number 9 in Hebrew is the signature of God. 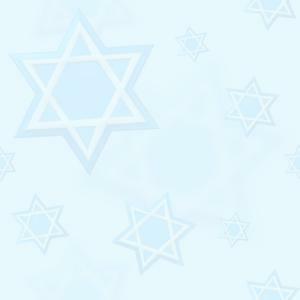 God is referred to as “Hashem” (The Name) by Jews in reverence to God’s Holy Name. The first human that was created was “Adam” who was the most perfect person in “Creation” in every single way. Adam represents the number system of 1 to 9 because if you add up all the numbers from 1 to 9 it will equal 45 and Adam in “Gematria” also equals 45 (40+4+1). Aleph is 1; Dalet is 4 Mem is 40 that equal 45 and thus; 4+5 = 9! The 4th letter of the Hebrew Alphabet is “Dalet” – Yeshua (Jesus) said that He was the “door” (John 10:9). It is the idea of entering the Tabernacle in the wilderness – the door into the outer court when it was built in Jerusalem. And, at that entrance was “the brazen altar of sacrifice,” – pointing to the sacrifice of Yeshua (Jesus). The 8th letter of the Hebrew Alphabet is “Chet” and that was “the doorway” and Yeshua said that He was the ONLY way to God (John 14:6). There is the idea here of entering into the “Holy Place” of the Tabernacle or Temple – the room with the “Golden Lampstand” giving the “Light” of God. No more natural “light but, God’s Light! Now, with the letter “Tet” we have the image of entering the “Holy of Holies – the “Sanctuary of God!” ONLY the High Priests of Israel were able to enter the “Holy of Holies” and ONLY once a year with the sacrifice of the blood of an animal. The High Priests were always in fear of whether the sacrifice would be acceptable. Now, Yeshua (Jesus) is our “Great High Priest” (Hebrews 4:14-16) – sinless and gave Himself as Sacrifice for ALL …and has been accepted and proven by His Resurrection from the Dead. Through our Lord we have “Peace” with God …and we have this perfect “Peace” – “Shalom” in God so we can draw near with confidence to the “Throne of Grace!” We have found our REST in HIM! “The lip of truth (Emet) shall be established for ever; but a lying tongue is but for a moment.” – Proverbs 1219. “Emet,” – “truth,” lasts for ever! Therefore every multiple of 9 remains a 9. Truth always remains the same and can NEVER be altered! Similarly, God is true from the beginning to end. The word “TRUTH” in Hebrew is “Emet.” And, “Emet’s numerical value is 400+40+1 which equals 441 which is 4+4+1 = 9! Now see this …take ANY number and ADD 9 to it – it will always yield the same number! For example: take 5 and add 9 to it - 5+9 = 14 and we see 1+4 = 5 and here we see the 5 that we added to the number 9 that we started with. It works with ANY number – try it! Now, take ANY number and MULTIPLY it by 9 and the sum will always equal 9. Example: 9X5 equals 45 and 4+5 =9. It also works with any number - try it! Now, take any number and SUBTRACT it by itself and it will always yield 9. For Example: 22-4 = 18 and so 1+8=9 and here’s another example: take 45-8=37 (3+7=10) and now minus the 10 (itself) from 37-10=27 (2+7=9) and 9 stands for “EMET” (TRUTH) - the signature of God (Hashem)! Who can come up with that! Here’s another example: 5679 minus 27 equals 5652 and 5+6+5+2 equals18 and 1+8=9! Yes, who can come up with that? You see the signature of God is “Emet” – “Truth” …which is the number 9? Like an artist God puts His signature in everything in the world! There are 9 months to pregnancy. If you add up all the minutes of the day they too will equal 9. There are 1,440 minutes in each day. Water in Hebrew is “Mayim” and the letters equals 9 – (40+10+40=90 as the zero is NOT counted = 9) and “water means LIFE!” The first line in the 10 Commandments has 9 words. The “Shabbat” (Sabbath) in Gematria equals 9 (300+2+400=702 and we see 7+2=9 as zero is not counted).The Shabbat is the 7th day of REST! It was God’s first Commandment in Creation! This is NO coincidence as there are NO coincidences in life! The world was created by our God with the utmost precision. Just take a look at a computer program which is made up of a bunch of numbers and letters and is designed to give instructions to a program or a machine! God created the world, the universe and everything in it using the 22 letters of the Hebrew Alphabet and just like a computer program it looks nice from the outside but if you look behind at the code inside it’s just a bunch of letters and numbers! What else does the “Tet” number 9 reveal: There are 9 “fruits of the Spirit” (Galatians 5:22, 23); love, joy, peace, patience, kindness, goodness, faithfulness, gentleness, self-control. This will be a year to look and see how genuinely we have produced them. There are 9 “gifts of the Spirit” (1 Corinthians 12:8-10): wisdom, knowledge, faith, healing, miracles, prophecy, discernment, tongues, and interpretation of tongues. There are 9 Beatitudes (Matthew 5:3-11). Abraham was 99 years old when he was circumcised (Genesis 17:24). Nine is the number of total agreement. The reason Abraham had to wait until he was 99 years old was because 99 (9+9=18) 1+8=9 indicate - “agreement with God!” The numeric value of the Hebrew word “Amen” is precisely 99. We say “Amen” to indicate “agreement” with what has been said or done. This is our year to say “Amen” to the plans God has for all of us! Psalm 118:8 is the middle verse of the Bible - based on a word count in the original languages. The verse says, “It is better to take refuge in the Lord than to trust in man.” In Hebrew; “Tov Lachasot b’Adonai M’Betoach b’Adam.” The first word in the middle of the Bible is – “TOV” (good) which means that the first word begins with “Tet!” And, the verse points us firmly to the Lord. So we can see God’s Hand in the Hebrew of the Old Testament and in the Greek of the New Testament. Yeshua (Jesus) said before He went to the Garden of Gethsemane and the Cross; “Father the time has come, GLORIFY Your SON,” and at the end of the passage we see His Words; “I have made Your Name known to them, and will make it known, so that the LOVE with which You loved me, may be in them, and I in them! - John 17. In the Greek text of this prayer there are 486 words (4+8+6=18 and 1+8=9) and is divisible by 9 (9X9X6=486) – The Holy Spirit is placing His seal on this text and drawing attention to Yeshua (Jesus). 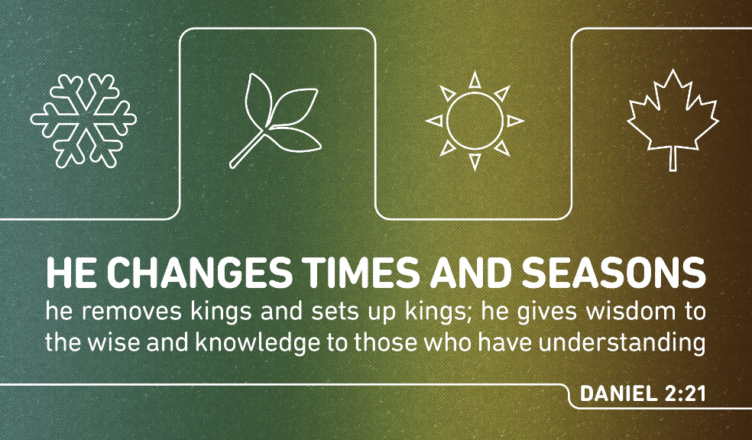 Understanding of the “times and seasons”… was nothing new to the Tribes of Israel and indeed, it’s even understood within Nature itself! Even before the outpouring of the Holy Spirit, the sons and daughters of the “Tribe of Issachar” were known to have a deep understanding of the times, and they knew by faith what it was that would need to happen next in order for the Jewish people to align themselves with God’s plans for Israel; “And of the children of Issachar, which were men that had understanding of the times, to know what Israel ought to do,” - I Chronicles 12:32. Today’s times are NO different! We who have understanding of the “Holy Spirit of God” have access to the “Throne Room of God” …and are, likewise, able to “see and hear” what is on Heaven’s Agenda for the End-Times that we are living in. Holy Spirit filled believers are invited to like the sons of Issachar have; “understanding of the times and to know what Israel ought to do.” The Hebrew language, likewise, is more than mere markings but a richly intricate system of symbols and filled with hidden mysteries. Jews have long believed the Hebrew language to be the “hidden” language of Heaven! Unlike the Phoenician alphabets we know today, Hebrew symbols contain within them pictures that symbolize the movements of “the heavens and earth” below …and help to give us clues to the divine workings of God and His Creation! 5779 (2019) is the final year of a decade in the Biblical Hebrew Calendar from 5770-5779 (Gregorian Calendar 2010-2019) …which has been all about “seeing” - what God is saying about us and for the world around us. It’s NOT just coincidentally connected with the number 7 which is the Hebrew Letter “Ayin” which is a picture symbol of an “eye” and characterized in the number 70. 5779 like every year in the “Ayin” decade coincides with another letter in the Hebrew Alphabet which was revealed in the early Jewish Talmud (writings) as having; “Heavenly significance,” just as the instituted “Feasts of the Lord” and the “appointed times” of the Old Testament. This will be a year of the “TURN AROUND” and to “look and see” how well we have allowed the Spirit of God to transform us into the image of His Son – Yeshua (Jesus) and a year to “believe” the work and power of the “Holy Spirit” in our lives!